The client badly needed an end-to-end mobile commerce solution for consumers to browse, review, and purchase products online. 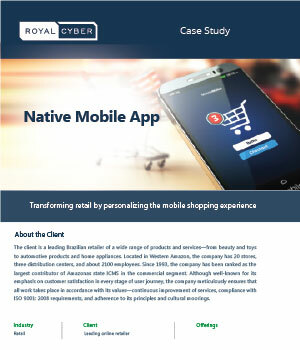 Reaching out to a customer base that is technologically savvy and unpredictable requires a new native mobile commerce application. The challenge was in integrating WCS through REST base services to handle customer data and payment information, ensuring a quick time-to-market factor,enabling secure user authentication, and providing a user-friendly interface.